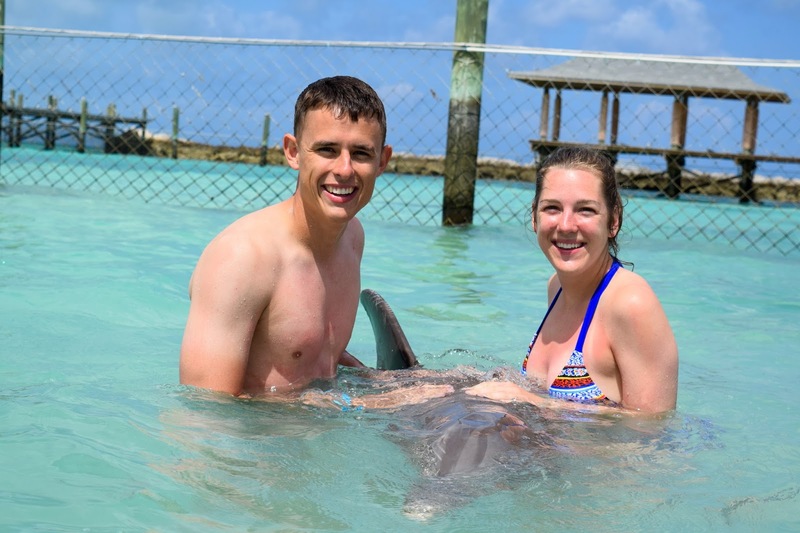 Last week, I blogged about days 1 & 2 of our amazing cruise to The Bahamas! I was going to recap days 3 & 4 today, but our day 3 excursion really deserves its own post. 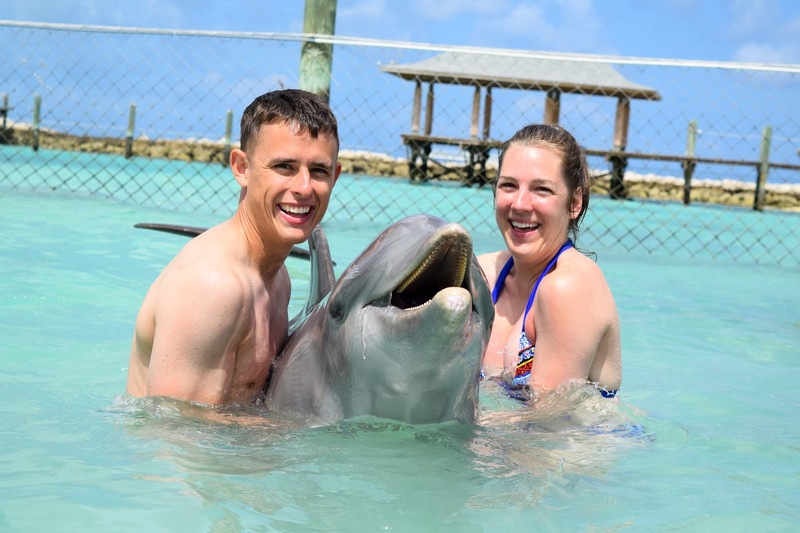 We fulfilled a dream we didn't even know we had when we swam with dolphins! We were really excited for this excursion but had no idea just how amazing it actually would be. It's definitely an experience we will treasure forever! The excursion itself was twofold. 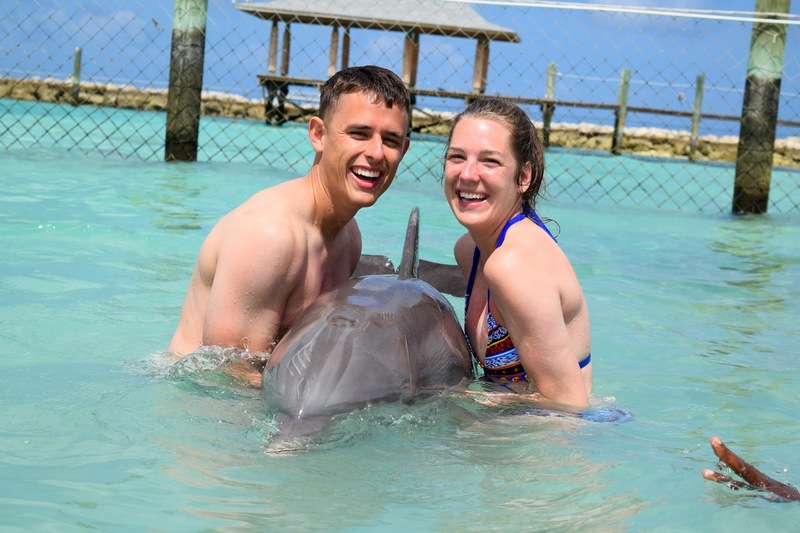 First, we all put on life jackets and swam into a roped off section of the ocean with three dolphins. 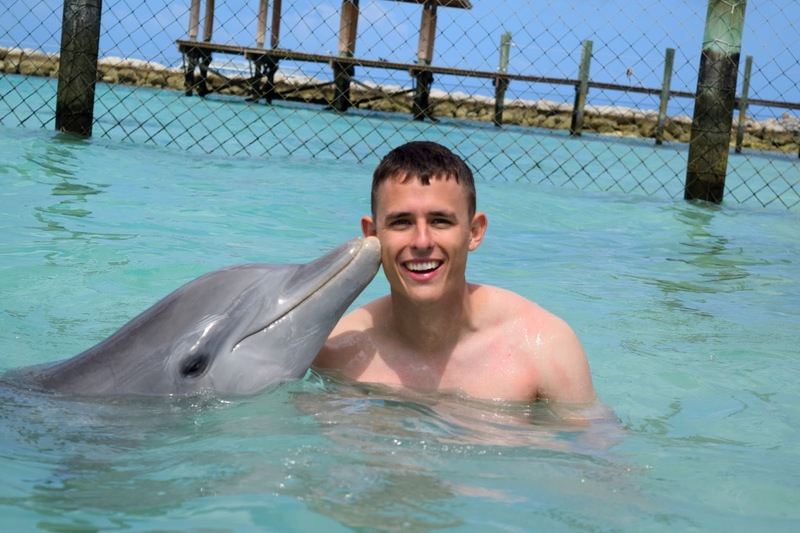 The dolphins did tricks for fish and swam around. 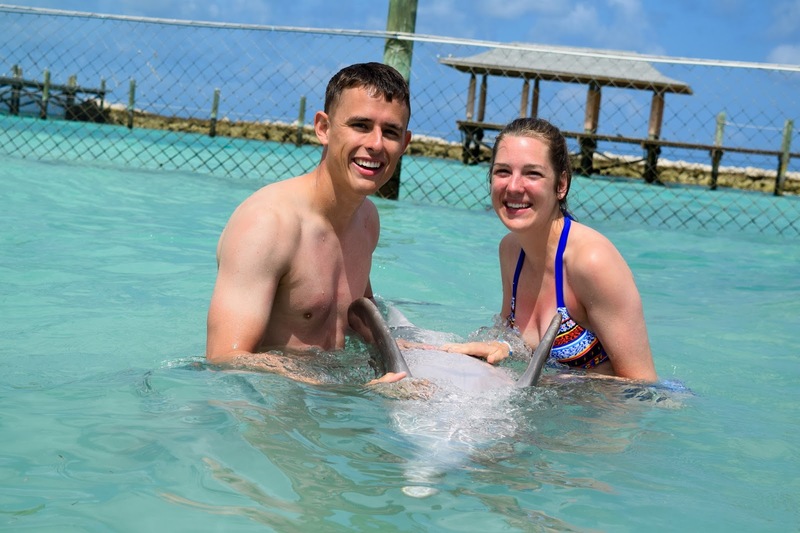 We got to touch them and feel them swim up against us. 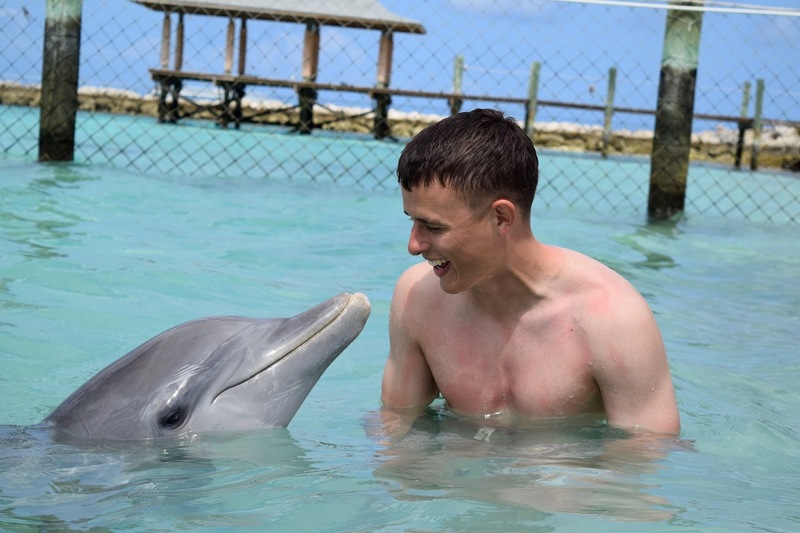 We even got to line up and tap the water for the dolphins to swim up to us and then dance with them. We held their fins and spun in circles, and they did the same. 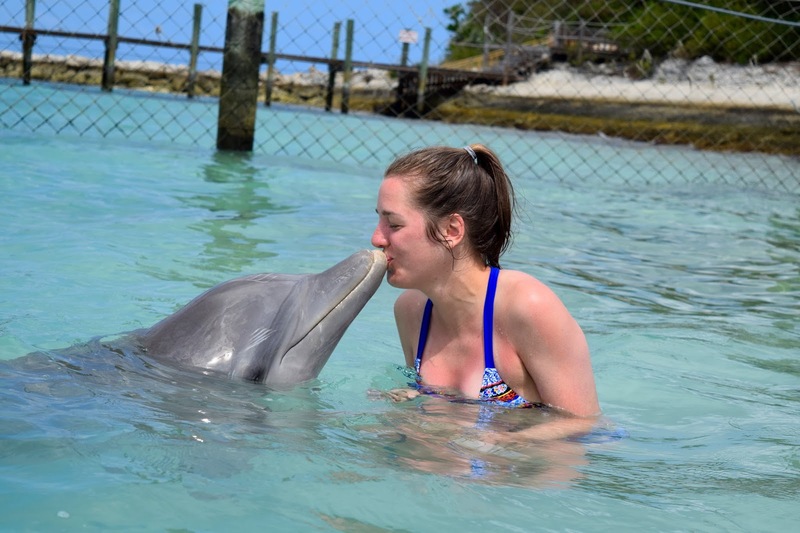 There are few things cooler than dancing with a dolphin. In fact, I can't think of anything. Pure joy! We didn't get any pictures of that part, but thanks to the $75 picture CD for sale at the end, we have pictures of the second part. 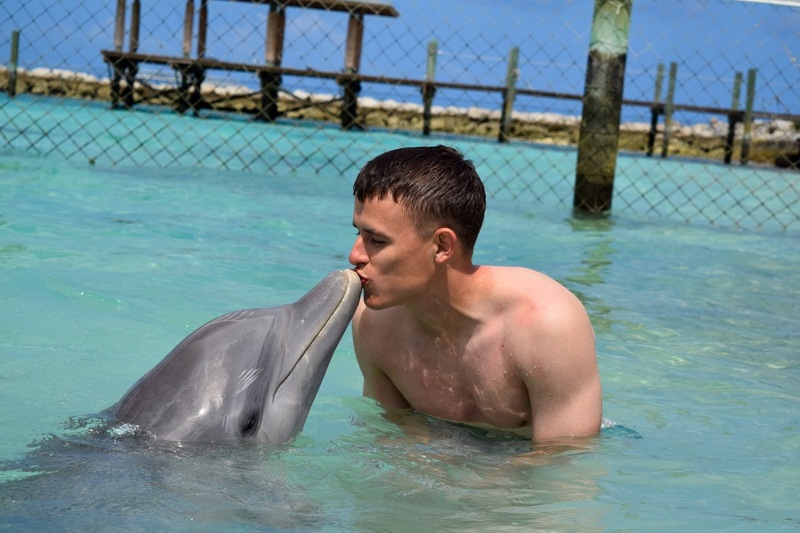 We posed with the dolphins, got kisses, gave kisses, and just enjoyed touching and loving on these adorable animals. We look at these pictures and just can't help but laugh. I love seeing Parker's adorable smile, he loves seeing my big cheesy grin, and we will treasure these pictures for years to come! This is so much fun! 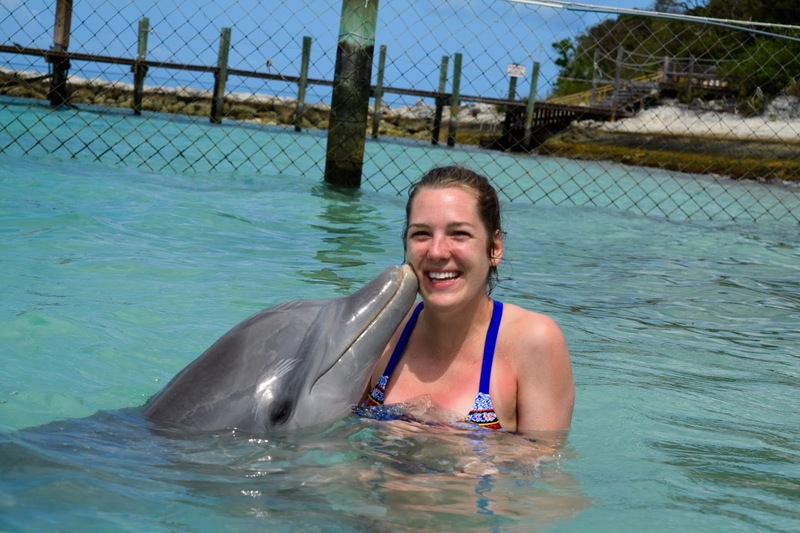 Swimming with dolphins is on my "to do in life" bucket list!! 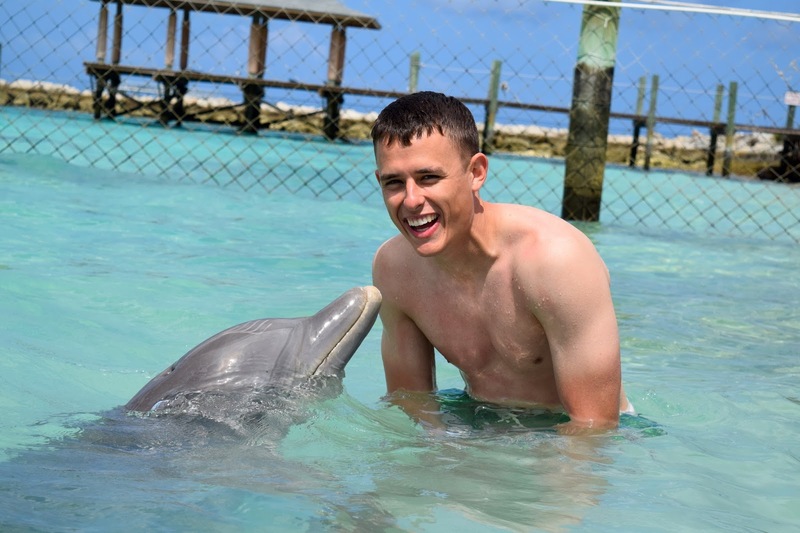 Your whole vacation looks absolutely amazing- so wonderful you got some time together as a couple before Parker deploys! This looks so fun!! This is definitely something that is on my bucket list!! :) These pictures are so priceless!! Definitely a treasure for years to come! These pictures are amazing! You guys look like you had a blast! That is so awesome!!! I'm so glad you had a great time because now I'm even more excited to do the same thing on my honeymoon! Isn't it the coolest thing! Definitely an awesome experience! Your photos are so great! How fun!!!!!!!! We were going to do this on our trip to Mexico but decided to spend the money on our "Bachelor Date" (as I call it) instead. Someday it will happen!!! 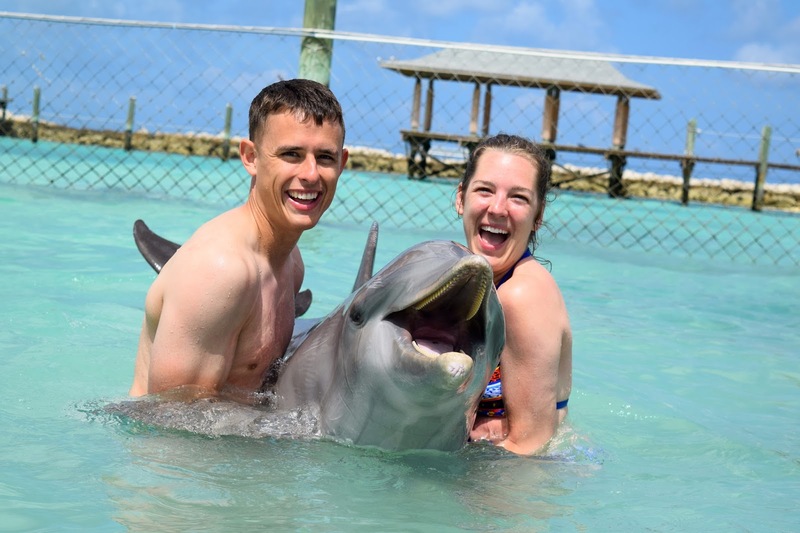 So many people seem to LOVE this, and I can totally understand why - you guys look SO happy!! 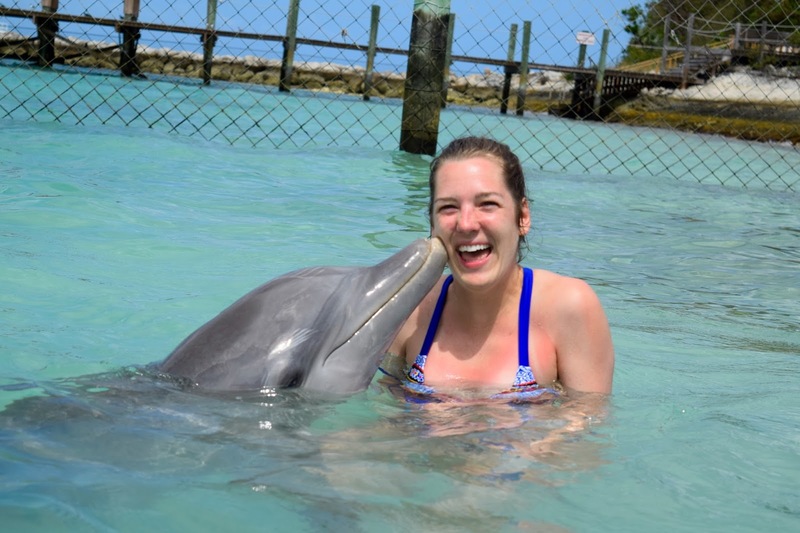 :) But this girl hates everything in the water (weird, I know, haha), so I don't think anyone could pay me enough to do this! That looks SO COOL! It's officially on my bucket list! So glad you had such a great time!